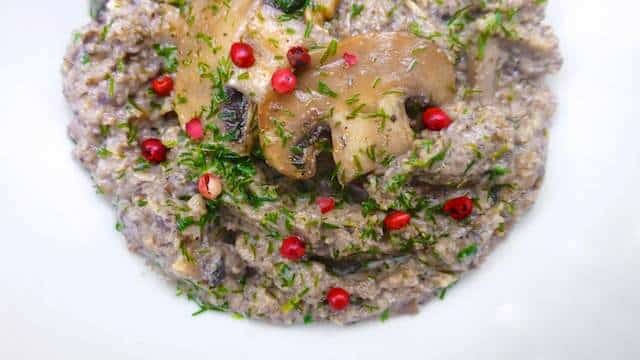 Mushroom Dip with Guinness | Simple. Tasty. Good. 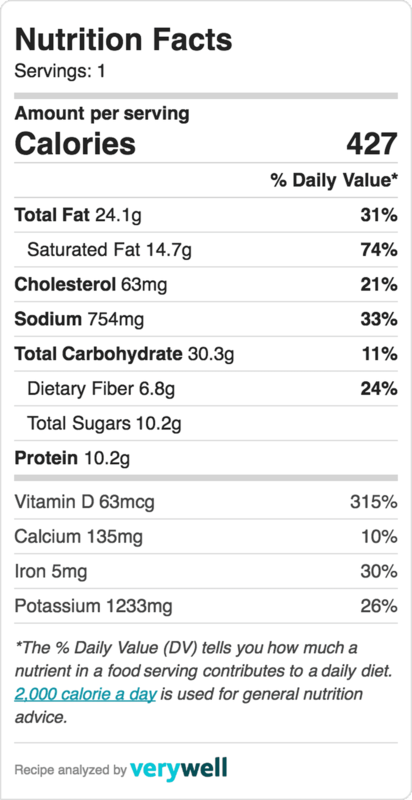 I prepare this mushroom dip quite often. It is the perfect recipe to incorporate that handful of white mushrooms that has been sitting in your fridge for pretty long (if not for way too long) and these now start to look pretty ugly (but they’re still OK!). So how about blending them into a delicious mushroom and beer tapenade and serve it as a surprising appetizer dip? It will take you 30 minutes max to prepare! 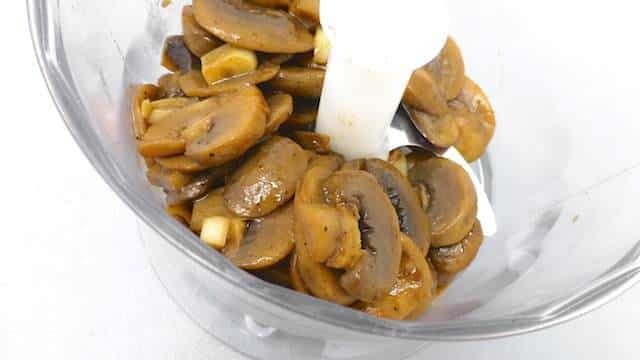 You can easily make this mushroom spread a couple of days in advance and store it in an airtight container in the fridge. 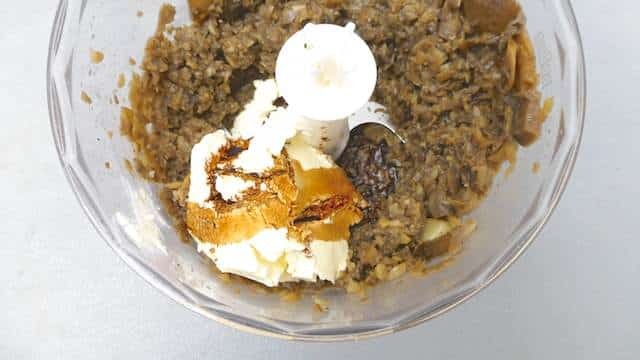 My mushroom dip: a creamy dip with sour cream and Guinness... A delicious mushroom and beer tapenade to serve as a surprising appetizer dip! 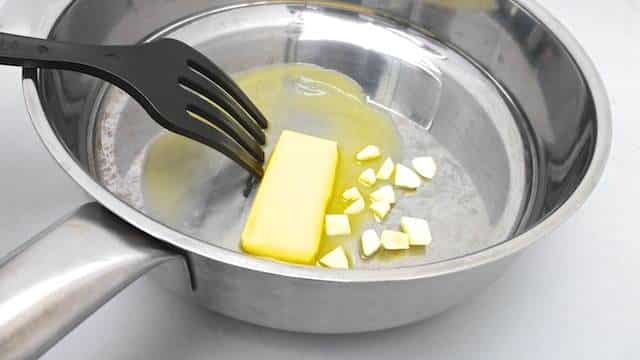 Add the butter, clove (optional) and chopped garlic to a large non-stick pan and place it over medium heat until the butter has melted. Cook the garlic for 2 minutes until fragrant. 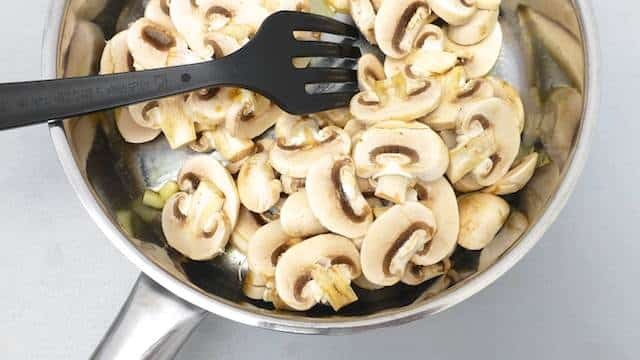 Then also add the sliced mushrooms. 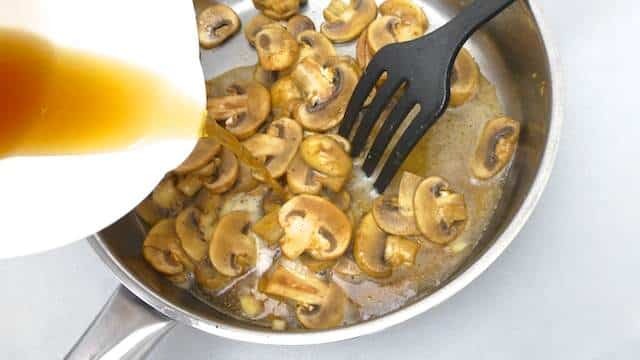 Stir well and cook the mushrooms for 6 to 8 minutes until soft and browned. Season with a pinch of pepper and salt. Pour in the beer. Bring the ingredients to a boil and then turn the heat lower. Simmer the mushrooms in the beer until most of the liquid has gone. 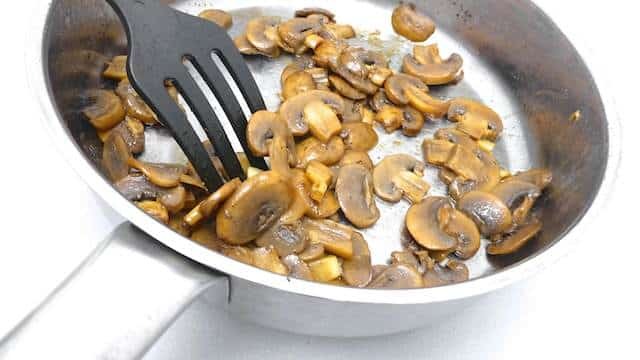 Then take the pan off the heat and let the mushrooms cool for a couple of minutes. Remove the clove (if using) and transfer them to a clean blender. Pulse into a fine crumble. Add the balsamic vinegar and the cream cheese. Pulse again until you get a creamy mushroom mixture. Check the seasoning and add extra pepper, salt or balsamic vinegar. Then scoop the mushroom dip into a clean bowl. Serve at room temperature.